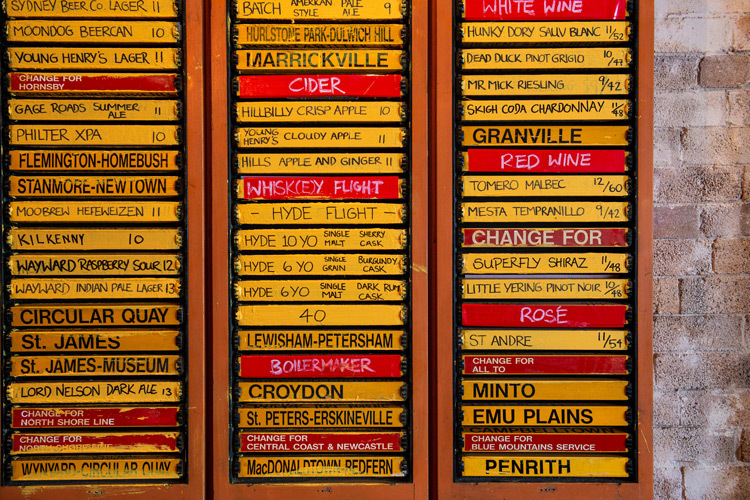 The Co-Op is a whiskey club that started in Surry Hills’ bar, The Wild Rover. In the early days of opening Sydney’s newest whiskey bar back in 2012, Kim and the bar team were lucky enough to be invited to tastings around Sydney to scope out brands to add to the shelves. As the number of regular whiskey drinkers in the bar grew and a thirst for knowledge became obvious, the Whiskey Co-Op was created to afford our customers the same privilege staff had from purchasing whiskey in bulk. The stale, pompous and boring stigma behind a ‘whiskey club’ is something we wanted to avoid. 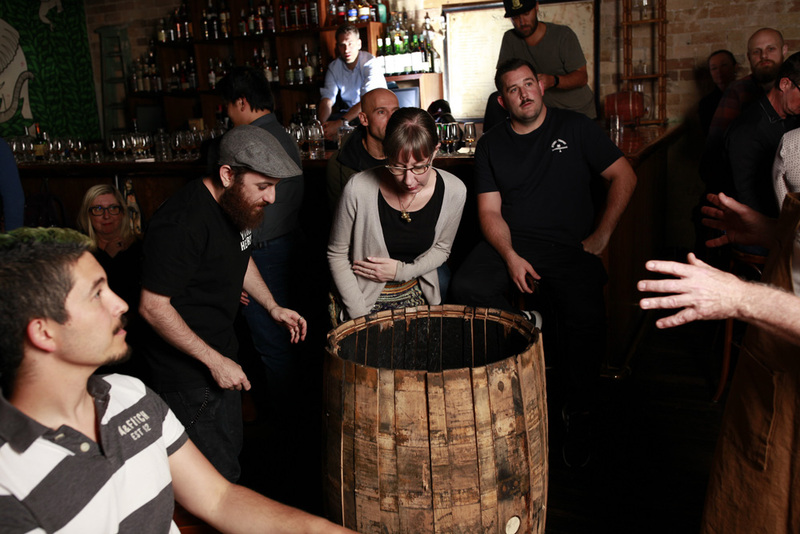 The Whiskey Co-Op was created for our regulars, mates and staff who showed interest in learning more about it. We love the stuff, so we created a club beginners and whiskey nerds alike can be part of that’s fun, informative, inclusive and a great platform to taste as much whiskey as possible. The Co-Op has evolved in recent years to include our own published whiskey passport, a badge draw and have hosted whiskey focussed events that you won’t experience anywhere else. 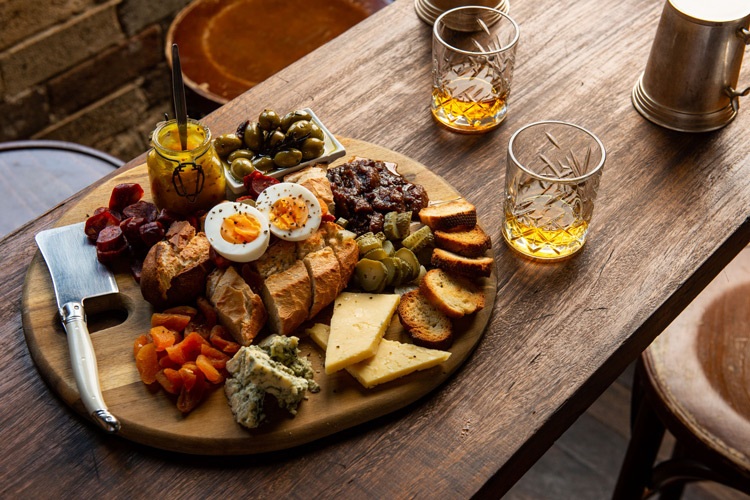 Every three to four weeks, members are invited to a whisky tasting upstairs at The Wild Rover. These are hosted by Brand Ambassadors, Master Distillers/Blenders and anyone who loves whiskey as much as us. We even had a Master Cooper dismantle a barrel in the audience! These are strictly for members only. When someone has the word ‘whisky’ tattooed across their fingers, you know they mean (whisky) business. Long-time friend of the Wild Rover Dan Woolley is bringing a bunch of smokey whisky to share with the Co-Op. The guided tasting hosted by Chivas Brand Ambassador, Emily Andrew, will allow you to learn about the craftsmanship of the Master Whisky Blender, while demystifying the world of whisky in a fun and informative way. What’s better, you get to create your own 200ml bottle of whisky, handcrafted from a combination of floral, citrus, fruity, creamy and smokey flavours. We created a book! Inside you’ll find interesting facts on whiskey, how it’s made, along with more detailed info on sixty different whiskies from the Wild Rover’s shelves. The passport doubles as a reward program and by the end of your tasting journey, you’ll know exactly which styles you enjoy most and why. We know the bar can get busy at times... so your passport can help guide you if a resident Wild Rover whiskey buff isn’t on hand to help. We like to have fun with whiskey, that’s why we create experiences you won’t find anywhere else. In the past, we have partnered with cheese mongers, oyster farms and even a gelato maker to showcase how versatile whiskey is. If Johnnie Walker Gold tastes great with Hazelnut gelato, we’re sure as hell going to do it! While these events are open to the public, Co-Op members receive 20% discount on the ticket price. Are you interested in free money to drink the Rover’s best selection of whiskey? Same. Every member number is written on a ball and thrown into a barrel. One ball is drawn every Wednesday night and if that person is in the bar, they take home the jackpot which increases $100 each week. A swashbuckling, foot stomping, riotous escape from pomp, it’s designed as if it had always existed, but has only recently been found. Inside the venue poses as Irish folk barn crossed with New York chic set in an unassuming clothing house, hidden from street view. Begin Your Whiskey Journey with Us. Not ready to join? Sign up to our mailing list and we’ll keep you updated as to what’s happening in the whiskey club.